Images are credited and linked back to their sources. If you are the owner of an image and would like it taken down, please let me know and I will remove it immediately. For my own images, please credit and link back. Thanks so much! 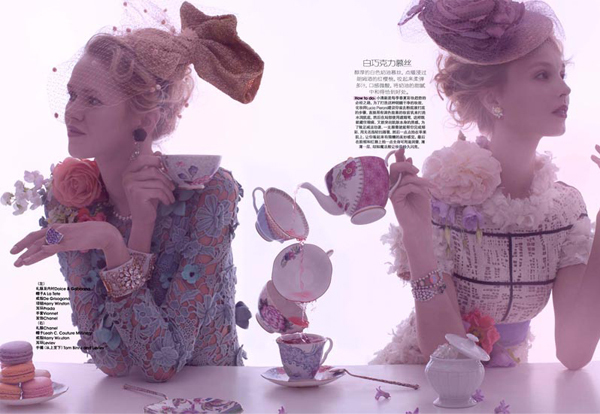 Everything about this Marie Claire China editorial is so wondrous and magical. I want to join these ladies and have a cup of tea whilst wearing a delightful floral hat atop my head and a spectacular off-the-shoulder gown. So Lovely! 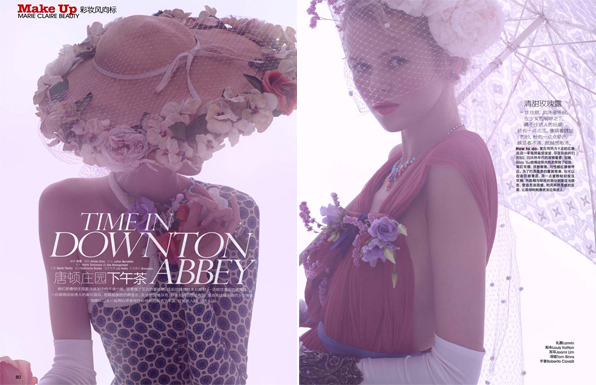 You had me at "Downton Abbey"!